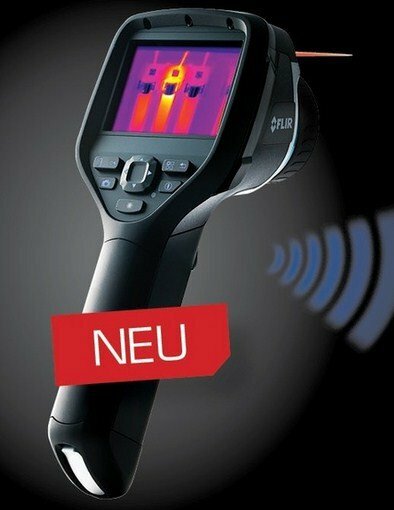 With an image quality of up to 320 x 240 pixels, the FLIR E-Series is ideal for predictive maintenance and planned inspection of electrical and mechanical systems to ensure they operate at maximum efficiency and safety with minimal energy consumption. 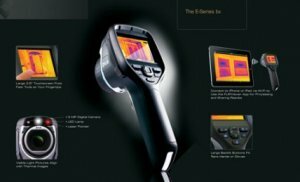 Superior Thermal Imaging – Up to 76,800 pixels (320 × 240) IR resolution coupled with 2% accuracy, <0.05˚C thermal sensitivity, 4x digital zoom, and 60Hz refresh rate for unbeatable detail and the highest level of point-and-shoot image quality available. 3MP Digital Camera – Use the built-in LED lamp and visual camera with 3 megapixel resolution to capture crisply detailed visible light images even in poorly-lit sites. Wide 3.5” Full-View Touchscreen – Brighter than other brands, the E-Series’ wide touchscreen displays images using the entire screen, with no cropping, while offering the industry’s most intuitive and easy-to-use control interface. 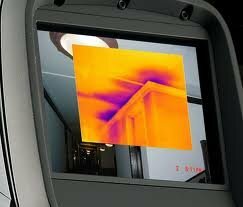 Sharp thermal images and easy-to-read temperature values are presented on the touch screen LCD display. 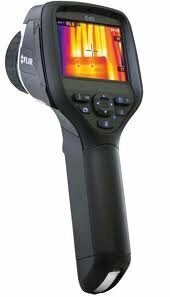 Activate the built in laser pointer and associate the hot spot you see on the LCD with the real target in the field. A LED light assures clear visual images. Transfer images wirelessly to a smart phone or tablet PC. With the PiP-function it is easy to locate areas of interest. 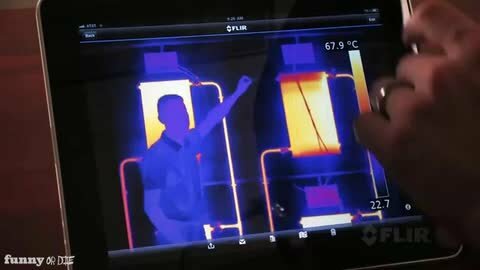 Create instant reports directly in camera. Easy to copy reports to USB. Text comments can be made from a pre-defined list or by using the touch screen. A headset can be connected to make voice annotations.